A photograph of a watercolor by Louis Roux. The photo notes that the painting is owned by Amos Nichols. 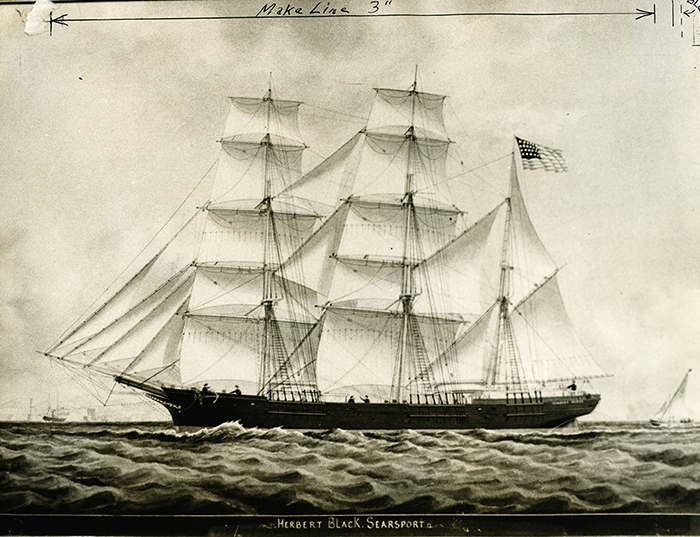 The bark Herbert Black was built in 1873 in Searsport by Marlboro Packard and stranded in Preston, England in 1919.